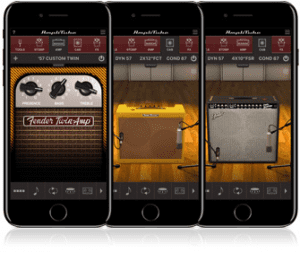 The new IK Multimedia Fender Collection 2 for Apple’s iOS platform has been released today. The popular mobile Amplitube application has a whole new set of cool vintage Fender amps added to the range – just in time for Easter. 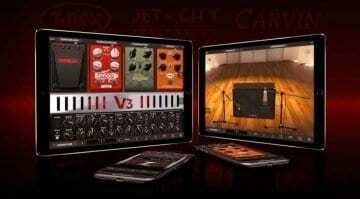 Now you can have a nice vintage tweed amp collection from the ’50s on your Apple iPad and iPhone. The collection includes the following models 57 Custom Twin-Amp, the ’57 Custom Pro-Amp, the ’57 Custom Deluxe and the ’57 Custom Champ, plus a ’57 Bandmaster, a ’53 Bassman and ’65 Super Reverb. Using IK Multimedia’s Dynamic Interaction Modeling technology, which is their algorithm for modelling each individual component of the original amplifiers circuits. 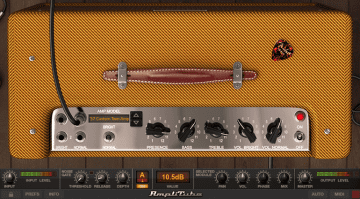 The AmpliTube software has been around for many years now, with the Fender Collection 2 available on Mac/PC since January of this year. Most of us would probably agree that it does a pretty good job at recreating those old Fender amps. Whether or not you agree with me on how good it sounds, I think it is a very useable tool for when you just want to get a good guitar sound, quickly. With the stability of iOS for music and the wealth of decent audio interfaces on the market for using with your iPhone or iPad, it is a bit of a ‘no brainer’ to use this type of software when you want to either get ideas down quickly or just have a bit of a noodle on the sofa. 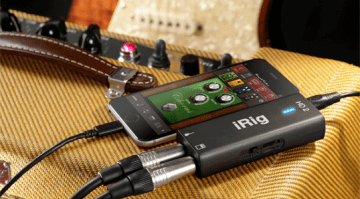 Of course IK Multimedia also make a range of neat little iRig Pros that you can use to plug in your instrument as well. The price point for the new Fender Collection 2 is pretty reasonable, considering you get 7 amps and 7 matching cabinet models. The package is available as an in app purchase within the free AmpliTube for iOS app and is available from today. 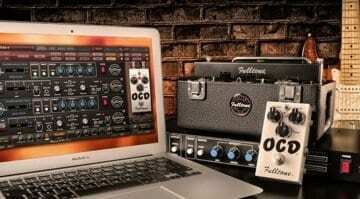 IK Multimedia Fender Collection 2: Software tweed goodness?